Calves that undergo a preconditioning period from a single source with a known health record are often considered low-risk. Photo credit Troy Walz. Immune and nutritional status as well as management of newly received cattle influence their adaptability to the feedlot environment. Based on the information available relative to the history of a group of cattle, it is appropriate to classify the group within a certain health risk level and manage them accordingly. Genetics, age, source, vaccination program, length of transportation, and weather conditions are just some of the factors taken into consideration when designating cattle as low or high-risk. Calves that undergo a preconditioning period and yearling cattle from a single source with a known health record are often considered low-risk. High-risk cattle are generally calves that have been recently weaned with no history of vaccinations, transported for an extended period of time, commingled with other lots at the sale barn, or simply lack information about their past. While it is likely for a group of cattle to exhibit characteristics of both low and high-risk categories, South Dakota State University Extension has developed a health risk classification table that expands on the various combinations of risk factors. A study performed by researchers at Oklahoma State University evaluated the effects of weaning strategies and commingling of calves from various sources on health and performance during a 42-day receiving period. Calves bought through auction markets and then commingled were more likely to be treated for bovine respiratory disease (BRD) than calves from a single-source ranch. In regards to weaning strategy, calves shipped at weaning were more likely to require treatment than calves preconditioned on the ranch for 45 days prior to shipping. Consequently, the increase in morbidity led to elevated health expenses. With focus on health risk level, receiving protocols should consider the total time spent in the marketing and transportation process for a given group of cattle. Stress associated with weaning and transportation can suppress the immune system of calves, so allowing calves to rest prior to processing can result in a more favorable vaccine response. Success of a vaccination program is dependent on the effectiveness of the vaccines, proper handling, timing and route of administration as well as nutritional status of the calf. According to a survey completed by feedlot veterinarians representing nearly 11.3 million cattle on feed in the U.S. and Canada, cattle health risk was ranked as the top predictive factor for feeder cattle morbidity and mortality. When possible, veterinarians recommend high-risk cattle to be housed in smaller pens of approximately 100 head with 13 inches of bunk space per head. From a labor standpoint, feedlot veterinary consultants suggested one pen rider per 2,700 head of high-risk cattle or 5,500 head of low-risk cattle. Additionally, veterinarians suggested an average of 7,000 head of high-risk or 16,000 head of low-risk cattle per feedlot doctor. Nearly 96% of veterinary consultants surveyed recommended metaphylactic treatment at the time of arrival for high-risk populations, while nine percent recommended metaphylaxis for low-risk populations. Managing differences in health risk of incoming cattle presents challenges. Recognition in advance provides opportunity to refine receiving protocols accordingly to enhance adaptability of incoming feeder cattle. Good record keeping and effective communication between feedlot personnel, veterinary consultants, and nutritionists is important to successfully implement any receiving protocol. This is a summary of an article originally featured in Progressive Cattlemen magazine. Ellis, R. 2013. BRD Risk Categorization for Feeder Calves: Part 1. SDSU iGrow. http://igrow.org/livestock/beef/brd-risk-categorization-for-feeder-calves-part-1/. Accessed 10 August 2018. Rambo, N.K. 2014. 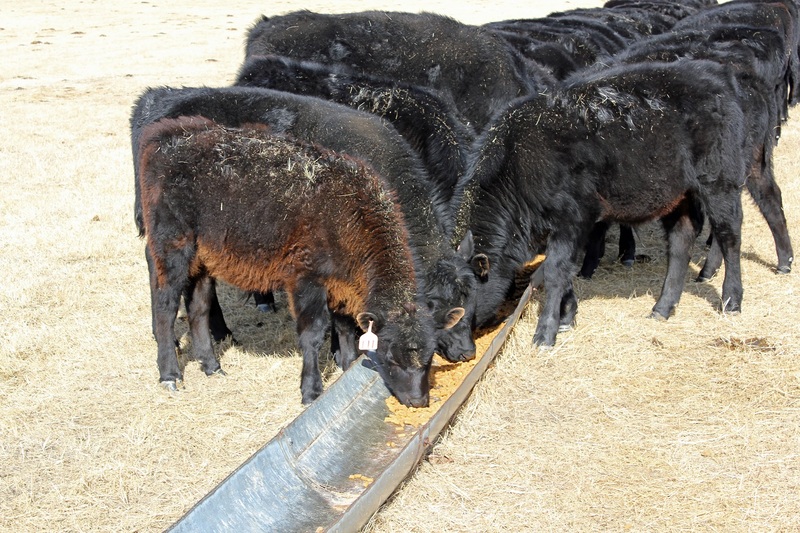 Health and nutritional strategies for managing incoming feedlot cattle. Driftless Region Beef Conference. Dubuque, IA. 34-36. Step, D.L., C.R. Krehbiel, H.A. DePra, J.J. Cranston, R.W. Fulton, J.G. Kirkpatrick, D.R. Gill, M.E. Payton, M.A. Montelongo, and A.W. Confer. 2008. Effects of commingling beef calves from different sources and weaning protocols during a forty-two-day receiving period on performance and bovine respiratory disease. J. Anim. Sci. 86(11) 3146-3158. Terrell, S.P., D.U. Thomson, B.W. Wileman, and M.D. Apley. 2011. A survey to describe current feeder cattle health and well-being program recommendations made by feedlot veterinary consultants in the United States and Canada. The Bovine Practitioner. 45(2): 140 – 148.